Google Reader allows users to send document to various websites like Twitter, Blogger, Delicious, StumbleUpon, Digg etc. and most important Facebook. ‘Send to’ Feature in Google Reader can be used to post articles on either your Facebook Profile or your Facebook Pages. 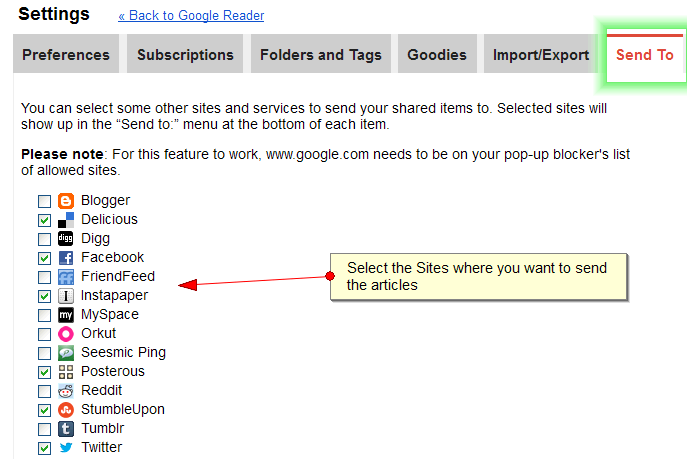 To enable ‘Send To’ feature for your favorite sites, go to Settings page of Google Reader and then click on ‘Send To‘ tab. Here you can choose the sites that you want to send documents to as shown below. These settings are saved automatically and now you can head back to your Google Reader home page and start sharing articles. 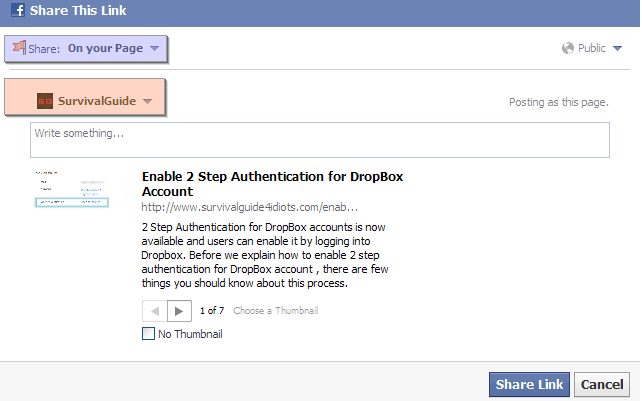 To share an article on your Facebook Page, open the article , Click on ‘Send To‘ button and select Facebook. On Facebook Sharing Page Click on Drop Down button and choose ‘ On your Page’ and then Select the Page where you want to post. Clicking on ‘Share Link’ will share the article on your Facebook Page.